The Fundamental Elements of the En Dehors Turn. Levels 2 & Up. All Regions DVD. 50 minutes. 12 exercises. ** STREAMING ONLY ** This DVD will no longer be available on our website. Purchase this product now and earn 18 FJ Rewards! What is this? Here are twelve new lessons which break down the fundamental elements of the pirouette en dehors from fourth position. Instructions about correct muscle usage and the mechanics of movement have been minutely detailed in bite-sized, digestible 3-1/2 to 4-1/2 minute segments. As you study each lesson you will discover what you’re not doing and how to correct and perfect your preparatory moves. Learn to work your body parts correctly and in the proper sequence so you can get on your leg and turn. This video forges ahead with several new strength-building exercises and explicit “how to” instructions not previously shown on other turning videos. Remember, if we can go to the moon and back, you can turn around twice on the floor. Snap your head & spot! “I am an adult absolute beginner who have studied with the Finis Jhung ballet technique DVDs for over a year now: I have been slowly working through red series (introductory lessons in technique and strength for absolute beginners), yellow series (lessons in basic ballet skills), and purple series (individual applications). Working with these DVDs enabled me to understand and progress faster in my regular weekly group class. I am very excited to have finally reached the blue series, devoted to Pirouettes: it seems that for us, adult people with no prior ballet experience, getting to do a pirouette is something of a rite of passage and a source of much excitement. “Before my review, a clarification: Finis has three DVDs dedicated to Pirouette Classes 1, 2 and 3. The correct order in which they should be viewed for learning, however, is: 2, then 1, then 3. Pirouette class 2 breaks down the pirouette into its fundamental elements—which then could be practiced en dehors (Pirouette Class 1) and en dedans (Pirouette Class 3). Now, the DVD itself: it delivers what it promises—and then some! First, Finis indeed breaks down the pirouette into the most fundamental elements: he methodically goes from the position of the head, shoulders, hips, knees, and feet—and on each of these levels, he discusses the specific role that each of these ‘places’ play in the composition of the movement. Not the least, Finis speaks about the role of breath in turning: just try to pirouette on inhale, and then on exhale – to see the tremendous difference it makes in the quality of the move! “Third, Finis employs very creative teaching technique: shuffling around to learn snapping of the head, or using promenade position as a preparatory rehearsing movement for pirouetting, is just brilliant. So simple, yet, so effective! In sum, Finis dissects and puts back together the pirouette, but in the process, the whole thing comes alive anew. I personally feel this is the teaching I needed to understand this complex movement. There is simply not enough time in the ordinary ballet class (especially on the group level) to have such an in-depth treatment. My hat also goes to Sachiko Kanai: just watch her doing those pull-ups and push-ups without losing the classical ballerina’s poise! Since I don’t have Finis to watch and correct me, and I cannot see myself in the mirror at all times, I am going to ask my husband to videotape my pirouettes: then I can watch myself and make adjustments, in light of what I am learning from this DVD. I end my review with the response to the question that I was asked by a fellow beginner ballet dancer just a few days ago. She asked me if I lost my marbles spending $40 on a pirouette DVD, when I could just google ‘how to pirouette’ to get hundreds of videos on the subject. Well, she is right in a way: Finis’s DVDs are expensive even in the world of ballet recordings, and there are indeed countless free you-tube offerings. “This is a revolutionary DVD which will teach you how to pirouette. 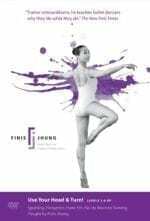 I have tried several other pirouette lessons on YouTube and DVD but none have helped me as much as the Finis Jhung did in this DVD. “Essential concepts are coined in impactful phrases that stick with the students: for example, ‘Always stand in number 1’, ‘Go up because you push down’, ‘Go to the end of the plie’. This deep understanding of movement in all its components is unique to Finis Jhung. “Addressed to the beginner student—of any age—this DVD contains 12 short lessons that will result in at least one pirouette, maybe even a double—based on ability and experience. 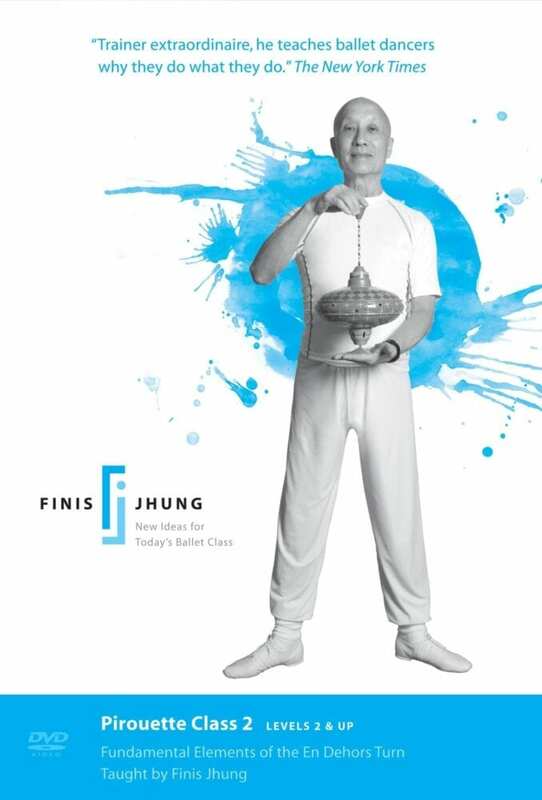 “What distinguishes Finis’s approach to teaching the pirouette is that he takes you from apparently not-directly related movements and concepts to the actual turn. Finis asks you to internalize and practice with these essential concepts so that muscle memory, strength and balance are mastered first, before attempting to turn. Once there, the student will be equipped with all the knowledge and skills needed to pirouette successfully. Use Your Head & Turn!